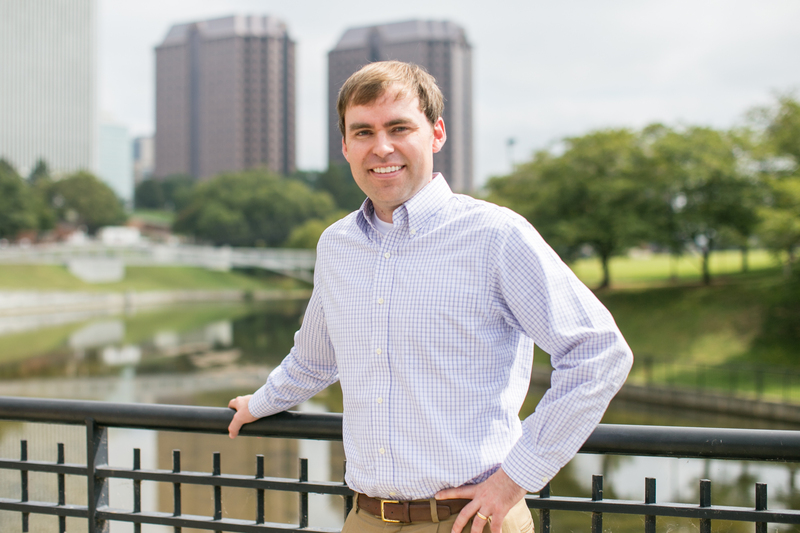 My name is Dr. Terry Dozier and I’m the Director of the Center for Teacher Leadership (CTL) and the Richmond Teacher Residency Program (RTR) at Virginia Commonwealth University School of Education. I also serve as the National Teacher-in-Residence and Associate Professor in the School of Education. A major highlight from my career was when I served as the senior adviser on teaching to former U.S. Secretary of Education Richard W. Riley. During this time, I was the top policy adviser on all teaching issues during the Clinton Administration and was responsible for developing and implementing a strategic plan to improve teacher recruitment, preparation, and ongoing professional development, including overall leadership in research, evaluation, and data collection on teacher quality. I have 19 years of classroom teaching experience in settings as diverse as inner-city Miami, suburban South Carolina, and the Singapore American School and was named the National Teacher of the Year and the South Carolina Teacher of the Year in 1985. 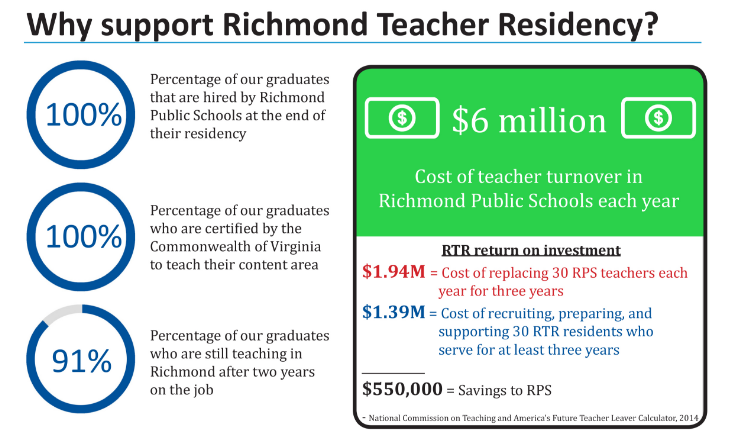 Richmond Teacher Residency is an innovative partnership between Virginia Commonwealth University and Richmond Public Schools (RPS) to disrupt the cycle of poverty in our community by creating a sustainable pipeline of highly-effective teachers who are committed to the students of RPS for the long term. Despite overwhelming research that teacher quality is the most important school-based factor in student achievement–and that teacher effects on student learning have been found to be cumulative and long-lasting–our poor and minority students consistently get the least prepared, least experienced teachers. This results in a constant churning of teachers in urban schools that comes with a huge price tag—$6 million each year for RPS according to the 2014 National Commission on Teaching and America’s Future Teacher Leaver Calculator–and most importantly, the cost to students in terms of the lack of stability in schools and its negative impact on student achievement. RTR is designed to end these educational inequities related to teacher quality by recruiting, preparing, supporting, and retaining highly effective teachers for our most challenged communities. I’ve had the opportunity to see education from many different perspectives and vantage points since having the incredible honor of representing the teaching profession as the National Teacher of the Year. But all of these experiences have simply confirmed what I have always known, and that is, making a difference in education means making a difference in teaching. The highest standards in the world, the strongest accountability measures, the latest technology, and the most beautiful facilities, will do little good unless we have talented, dedicated, and well-prepared teachers in our classrooms. As the late John Stanford, a retired army general and the beloved Superintendent of Seattle so often reminded his community – “The victory is in the classroom.” Helping to prepare the next generation of teachers for our most challenged schools and to support the development of teacher leaders is the most rewarding part of my work. Our greatest challenge in the beginning was the hurdles that we had to overcome in bridging two very different cultures – a research university and an urban school system. RTR is a very complex program that involves multiple partners who have different perspectives, priorities, and experiences. We overcame these obstacles by setting up structures that facilitated constant communication and collaboration among all partners and staff. The growing pains we faced have made both organizations stronger and better able to meet the needs of our community’s K-12 students. Our current biggest challenge is determining how we will sustain the program after our federal grant ends. We have been working with local, state, business, and foundation leaders to create a diverse funding stream that can support RTR far into the future. In addition to our secondary and special education track, we are piloting a track this year open to current VCU Liberal Studies in Early Elementary (LSEE) majors. This expansion will ensure that Richmond children from kindergarten through high school will benefit from extraordinary RTR teachers. ConnectVA is a great tool for our organization because it keeps us updated on upcoming events that could benefit us, as well as increases our involvement in the community. We have benefitted from the professional development opportunities that we have been provided through ConnectVA. In the future we are looking forward to utilizing ConnectVA to collaborate with like-minded organizations in the community. Our number one focus is giving back to our community and ConnectVA provides us with the opportunity to stay in the know. I would like to emphasize the impact teachers have on our community and schools. Teaching is the profession that makes all other professions possible. Richmond Teacher Residency has played a vital role in preparing teachers with the necessary skills and knowledge to succeed. As an essential component of a comprehensive human capital strategy, RTR helps to meet the staffing needs of RPS, provides career advancement for experienced teachers to act as mentors/career coaches, and develops highly effective new teachers who will change lives and lift up our city from inside the classroom. In June 2014, RTR was recommended as a long-term strategy to improve low performing schools in a legislative report to our General Assembly and Governor’s Office. As a result, our state has committed resources to expand our work to transform teacher preparation for hard-to-staff schools throughout Virginia. If you want to teach for change, we would love to hear from you. For more information, please visit our website at www.richmondteacherresidency.vcu.edu or feel free to email us at teach4change2@vcu.edu. Our fall deadline is October 24th. Do you know someone who should be our ConnectVA Spotlight of the week? Email us at admin@connectva.org for more information!